Blog monetization is one of the best ways to earn money online. One of the ways to monetize your website/blog is through advertisements. Google has introduced another way for bloggers to monetize their blogs - Google Consumer Surveys. Announced this week, the Google Consumer Surveys publisher network is now open for sign ups. Let's take a look at what this network is and how it works. Think of it like a site where you pay to get unrestricted access, but without having to pay actual money. Your visitors just have to answer a few short surveys in exchange for access to your content, and you earn money for each question answered. More and more sites are adding paywalls to access their content, meaning you have to pay a one-time or subscription fee to read articles, watch videos etc. A good example is the Wall Street Journal. Google Consumer Surveys are similar to paywalls in the way that they block users from accessing content. However, the only barrier to entry is answering a few survey questions. No one has to shell out their hard earned money, but there is real potential here for website owners to earn extra money. Right now, Survey creators (much like advertisers) are charged 10 cents per survey, out of which 5 cents go to the website owner. So that's a 50/50 revenue sharing between Google and publishers. Now it is up to you how many surveys can you get filled. The larger your traffic, the greater the earning potential. Assuming that even 20% of your 100K/month visitors fill out the survey, you get an easy $1000 per month! 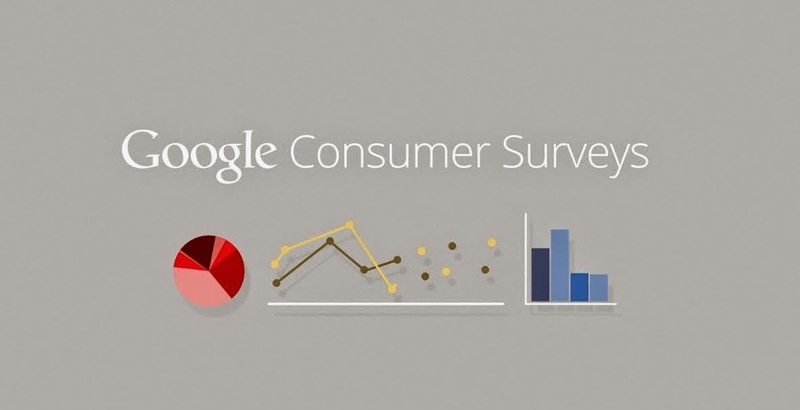 The announcement states that Google Consumer Surveys are easy to control and add to your site. You can choose where they appear and how often users are prompted to fill them out. You can also set how much content you want to make available, and how much of it you want to make accessible via filling out surveys. There are some requirements in order to be accepted into this program. You need to have an AdSense account in good standing, an 18+ audience, and must follow Google’s Publisher Program Policies. US publishers are already being accepted, with publishers in the UK and Canada soon to follow. In the coming months even more countries are said to be added. Thanks for sharing this great news Qasim. But, unfortunately this program is now only available for US, UK and Canada publishers. So publishers from all other countries can't join their program. Please provide more information and tricks to join easily. Actually is it is beneficial for bloggers?? Can you submit your site url? i am dificult to sign up monetize my blog in adsene. Why? my blog according me already good. how your according? A.A muje apki site articles boht ziada pasand aye hain.kindly meri help karain mene website banae ha latestnewsever.com . Kindly bta ke kia me adsense ke liye apply karon ya wait karon . 2 months hue hain is website ko.